Tesla frequently updates the delivery and order timeline of Model 3, and the latest update will inevitably result in some heartbreak. The electric car maker expects to make standard battery Model 3 available in four to six months. 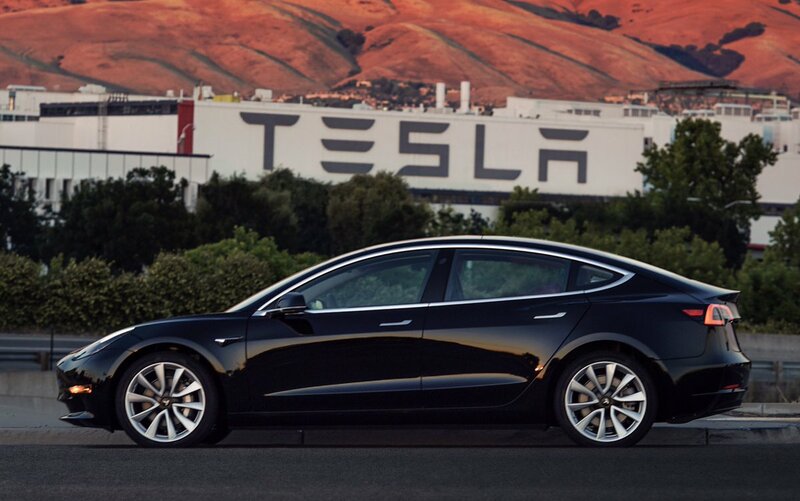 In October, Tesla was expecting to deliver standard battery Model 3 in four to six months, between February 2019 and April 2019. 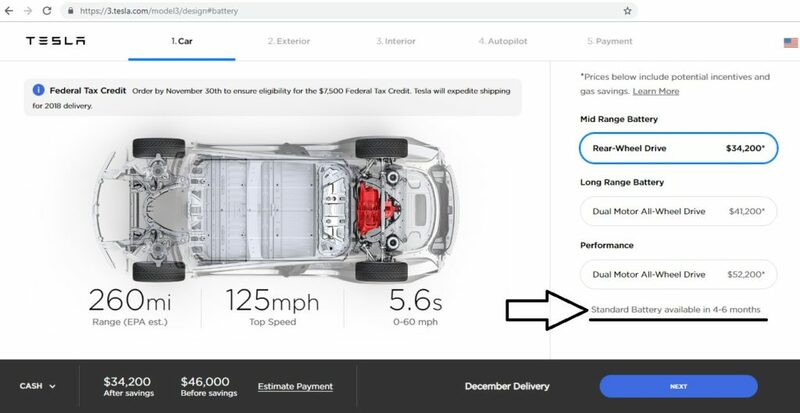 As of today, Tesla website shows the same four to six months timeline, which means customers who ordered the standard battery Model 3 can expect delivery in March-May 2019. The April 2019 to June 2019 (second quarter) or later delivery timeline looks more likely for Tesla Standard Battery Model 3. The problem for buyers who already ordered the standard battery Model 3 and for those who are still waiting to place their order is, they will have no idea if they will be eligible for a tax credit of $3,750 or $1,875. It’s cutting it a bit close. Tesla ramps up delivery in the last month of the quarter and the company will do whatever it can to deliver as many cars as it can in June 2019. But Tesla is also planning to start exporting Model 3 to Europe and Asia in the first quarter of 2019, which will undoubtedly add a lot of pressure on Tesla’s standard battery production capacity in the next seven months. It’s already clear that customers who are waiting for the $35,000 standard battery Model 3 are not going to get the $7,500 tax credit, but now it’s becoming clear that only a small number of standard battery Model 3 buyers will be able to avail the $3,750 tax credit. Most buyers will have to settle for $1,875. CNBC reported last week that Tesla, GM, and Nissan are lobbying the Congress to extend the federal tax credit for electric cars. GM and Tesla lobby to raise electric vehicles tax credit level from CNBC. According to the current policy, passed by the Obama administration in 2009, federal tax credit starts expiring in phases after an automaker reaches 200k EV sales. The EV Drive Coalition is working to urge Congress to reform the federal electric vehicle (EV) tax credit so automakers can continue producing, workers can continue building, and consumers can continue buying vehicles that produce zero emissions. It will be great news for EV buyers if Congress decides to increase the 200k sales cap. For now, Tesla buyers are going to take a hit, then it will be GM and then it will be Nissan, the three companies that are at the forefront of the EV transition in the United States. I am personally not a great fan of subsidies. But when the oil industry keeps taking money from the government, it’s only fair that electric vehicle manufacturers do as well. If we are going to use taxpayer money to add to our pollution then why not use it to reduce pollution as well?